Sen. Christine Radogno and Rep. Jim Durkin, the state’s ranking Republicans, are reportedly introducing legislation that would allow the state to sell the massive Thompson Center and move state workers to leased space elsewhere. Gov. Bruce Rauner prepares to speak on March 4, 2014 at a public forum at the David and Reva Logan Center for the Arts at the University of Chicago in Chicago, Illinois. Gov. Bruce Rauner and top Illinois Republicans are trying again to sell and demolish Chicago’s James R. Thompson Center, according to Crain’s Chicago Business. Sen. Christine Radogno and Rep. Jim Durkin, the state’s ranking Republicans, are reportedly introducing legislation that would allow the state to sell the massive Thompson Center and move state workers to leased space elsewhere. 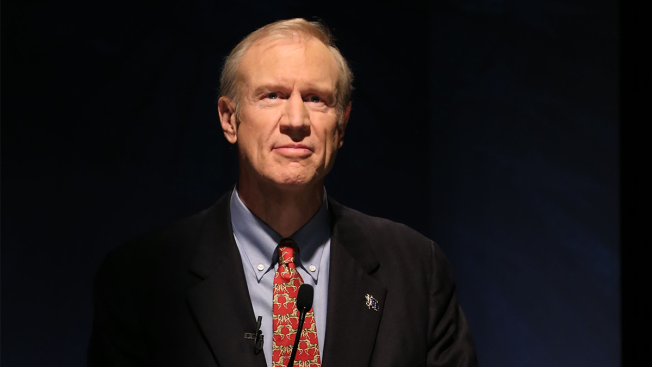 Rauner’s plan requires legislation to begin the formal process of seeking a sale of the enormous government building, according to the report. In 2015, Rauner announced plans to try to sell the building to a developer that would likely demolish the Thompson Center and replace it with one or more structures. Nevertheless, the Democrat-controlled legislature never voted on that effort. According to Crain’s, the state’s Department of Central Management Services estimates the sale would generate net proceeds of $220 million and would prevent the state from addressing $326 million in deferred maintenance on the building. Additionally, the sale could generate $45 million in property taxes for Chicago, according to the governor’s office. A potential deal could also be complicated by the building’s location atop CTA train lines and the city’s pedway system, according to the report. The state would also have to negotiate a buyout of the retail space in the building, which is currently controlled until at least 2034 by Boston-based Winthrop Realty Trust and Chicago-based Marc Realty. Despite those complications, experts agree the Thompson Center’s prime location in the Loop would likely attract strong interest from potential buyers who rarely see sites of that size become available downtown, Crain’s reports. The GOP's new plan includes conceptual renderings of a redeveloped site. One rendering, created by Chicago architectural firm Adrian Smith + Gordon Gill architecture, envisions a 1,700-foot tower, which would become the city’s smallest building. The firm also offered a more modest plan, according to the Crain’s report.